Japan. In the context of Western travel, the word brings up a miasma of electricity: Lights. Glitz. Video games. Animé. Tokyo. RAID’s Southern Island trip? Anything but. This is the Japan you haven’t heard about, the one where one of the world’s longest cycle paths (complete with suspension bridges) reign supreme, where remote towns, volcanoes, simmering hot springs, traditional inns, and one of the World Heritage Sites peak from behind the neon curtain. Yes, the bullet trains of Japan will break the narrative’s fourth wall every once in a great while, but this trip is one for the purists, for those whose favorite TV show was No Reservations. 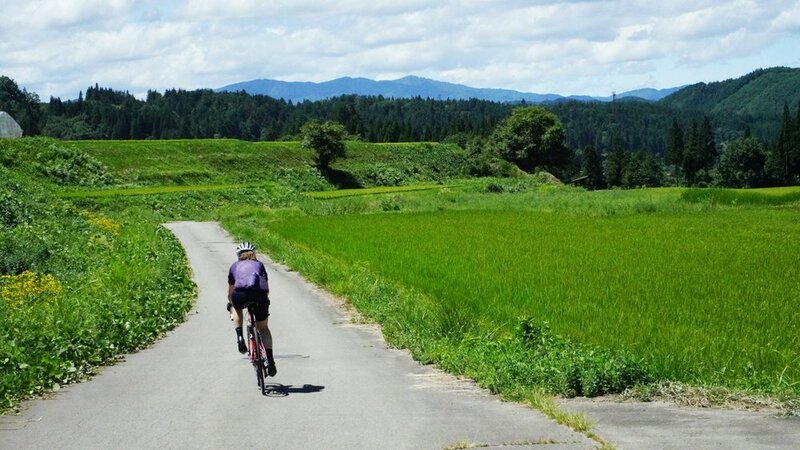 Welcome to rural Japan, real Japan, a Japan hidden from the great cultural export of the 70s and 80s, complete with some of the most rewarding cycling in this part of the world. Upon your arrival into Osaka International Airport we will provide 1- scheduled transfer from Osaka to our arrival city, Onomichi. It is an easy 2-hour journey either by train or bus. 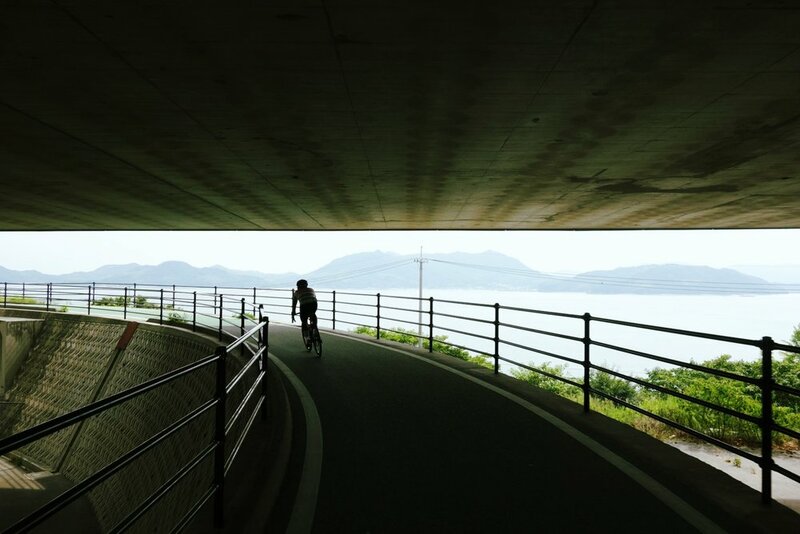 Depending on your arrival time, we will either go for a short-guided ride to loosen up the legs or we can take the famous Onomichi Temple Walk, up and down the many stairs behind the town, visiting 25 temples along the way. Behold, the Shimanami Kaido. Known as the most scenic route in Japan, the 76km route between Onomichi and Imabari is dotted with orange orchards, traditional ryokans, and stunning views of the Seto Sea. 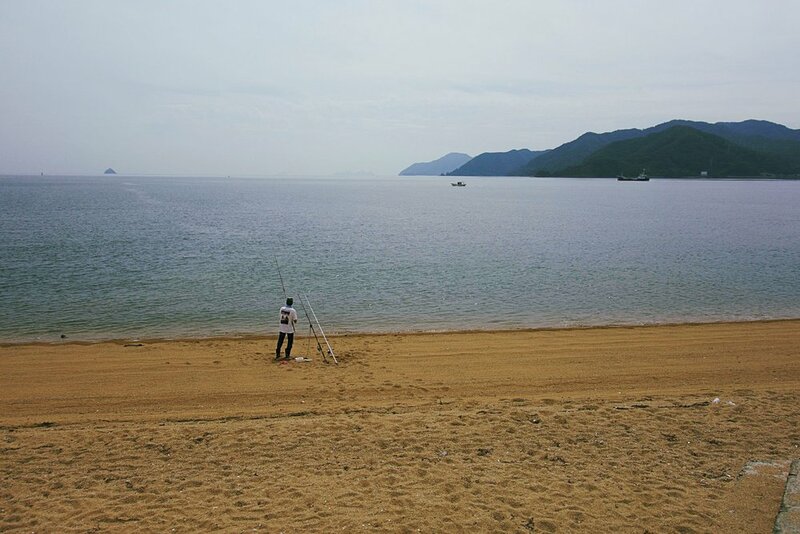 There’s no better way to absorb the quaint, small-town Japan that tourists tend to ignore. While a ferry back to Onomichi is an option, an intrepid return route is through the islands, making for a long 160km+ in the saddle. Today’s route finishes in one of history’s most famous cities: Hiroshima. But first, we’ll pass through Higashihiroshima, well-known or an entirely different reason: Japan’s national drink, Sake. We’ll visit “Sake Storehouse Road”, the street where the breweries are concentrated, marked by the photogenic red chimneys and white walls of its establishments. We’ll wind down our second day at the site of the first use of nuclear weapons in wartime: Hiroshima’s Atomic Bomb Dome. It proffers a deeper understanding of the suffering caused by violence, nuclear weapon proliferation, and the real value of peace. 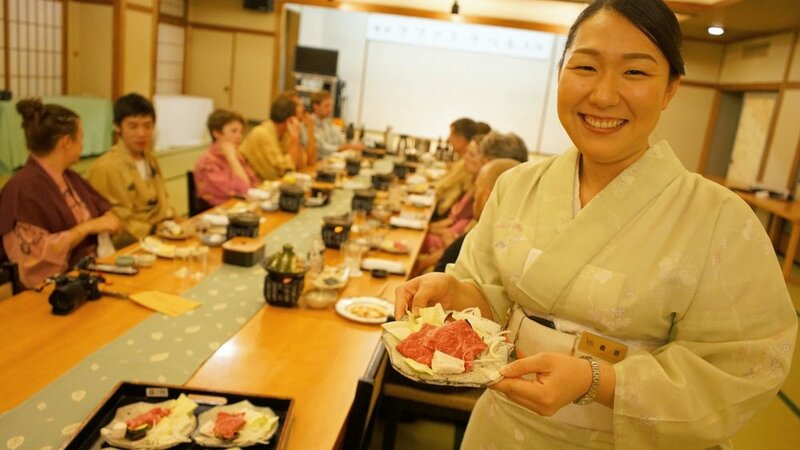 Balancing the striking significance of the day, we’ll sample local dishes in the humming center of Hiroshima, like battered cabbage and noodles cooked on a hotplate with oysters and squid. Breaking in the RAID tradition, today we climb aboard Japan’s famous railway transit: The Shinkasen Bullet Train. We’ll be whisked to Kurume, a principal city of the island of Kyushu, only 1.5 hours away. We’re immediately on our bikes, cycling through lush green tea fields, with rolling hills covered in trees to the horizon, replete with tea sampling along the way. At our destination, a tour at Kyushu’s Hita Brewery: Home of the famed Sapporo Black Label beer. Following our visit, a tour of Kurume’s historic 17th-century shops, the oldest in Japan. 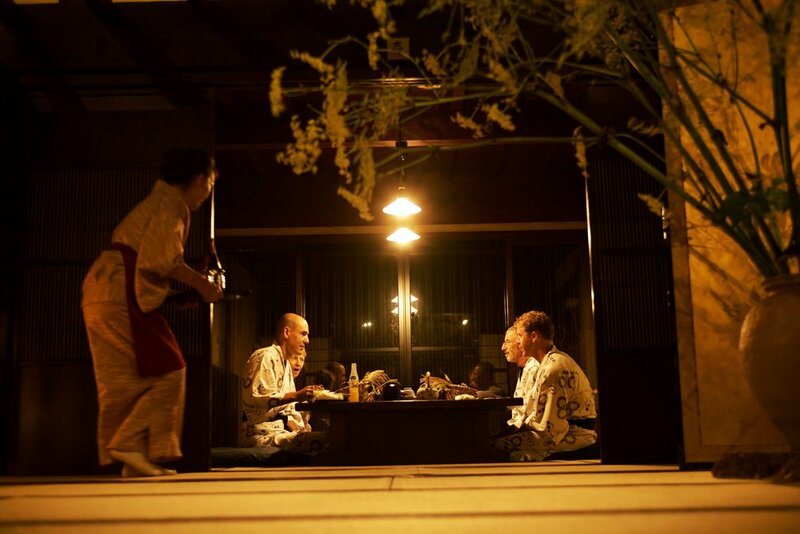 After absorbing the wonders of the historic town, we’ll pop into a Japanese Ryokan for the night, a traditional Samurai’s home, where we’ll be enveloped in a sense of the local culture, untouched by time. Today is a special ride, we begin this morning heading south through the Ōita prefecture, known to many as the “Land of Abundance”. We will be traversing through the Kirishima Mountain Range, a volcanic belt of major peaks that run vertically through the prefecture and contribute to the many hot spring sources that make this region so popular. Ōita has the largest number of hot springs in the entire country! 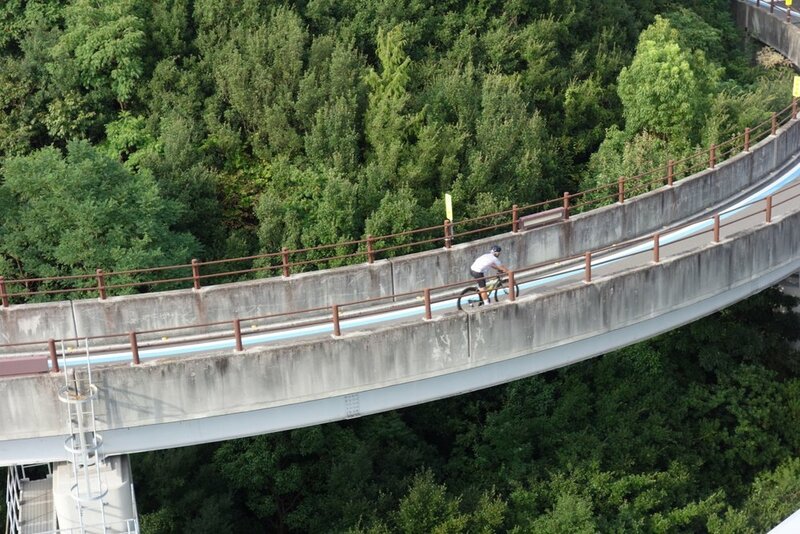 Known for its quiet roads and scenic beauty, 60% of Ōita is covered in dense forests. For lunch, we’ll pop into a local soba shop so you can try your skill in selecting noodles with chop sticks, along with a requisite bakery stop. Most people are surprised to learn how amazing Japanese baked goods are, on par with anything found in France. We’ll spend the night in the shadow of Mount Aso, an active volcano in the center of Kyushu at another luxury ryokan set among tranqui gardens and hotsprings. Boasting remarkable hot springs and an even more remarkable restaurant, we will dine on some noteworthy regional cuisine this evening. Today is our Queen Stage, spent circling Mount Aso’s barren caldera, then descending back to the lush valley below. The constant smoke plume reminds us of its power and potential, and gazing down into the 20 mile-wide crater gives us a glimpse at the Earth’s origins This is one of the most visually striking places in Japan, if not the world - its grey, craggy moonscape is covered in small, jagged rocks - like something from a SciFi film set on a distant world. 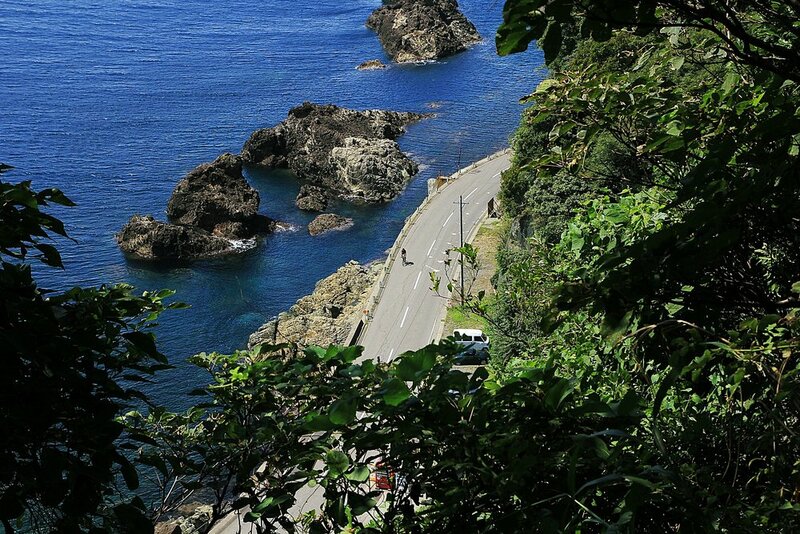 Our last day’s journey traverses the scenic Yamanami Highway, considered one of the most scenic byways in Japan, crossing the Kuju mountain range before finishing in Oita. The amazing route takes us from the Tadewara Marshlands through the Chojabaru and Kuju Mountain Ranges with stunning views of sprawling grasslands and steaming, looming volcanoes the entire way. A wonderful finish to our adventure, we’ll end our ride in the tiny resort village of Yufuin, located on a flat river basin surrounded by mountains. The most prominent feature of Yufuin's skyline? The twin-peaked Mount Yufu, hovering over the town, serving as the backdrop for scenic views. Another natural landmark is Lake Kinrinko, a small lake located at the end of the town’s main walking route.The small lake is located at the end of the town's main walking route. Finally, we’ll finish our stay at a small Ryokan, with a hot spring bath located inside an inviting cave. Enjoy the bath’s waterfall before dining on local seafood, best enjoyed as sashimi, along with dangojiru, a unique dish consisting of dumplings stewed in miso paste. ADDENDUM: Extending your trip with additional non-cycling days exploring Kyoto, Nara, and Hiroshima is an option that we’re more than happy to facilitate! Let us know when you book and we’ll be more than happy to arrange an extended venture with the same RAID standards. This morning, enjoy a short walk through the village of Yufuin before we embark on our last leg of our journey. Our vehicles will transfer everyone 1h45m to Fukuoka International Airport (FUK) from where you can connect to your international or domestic flight. Those who will be exploring more of Japan or traveling to the Kyoto area upon the trip's conclusion, Osaka may be your best option. However, if you plan to return home on the 19th, after our trip, Fukuoka International Airport (FUK) is the most convenient international airport to depart from. Fukuoka International Airport (FUK), which has dozens of international departures daily is the most convenient option. It's 1h45m shuttle from our hotel on May 19th to Fukuoka. Our vehicles will provide this shuttle early in the morning depending on guest’s flights. You can book your flights as early as 1:00 pm on the 19th. If you are connecting to an international flight departing Osaka (KIX), it’s best that you depart out of Fukuoka International Airport (FUK) to Osaka (KIX)-there are affordable daily 1hr10m flights directly to Osaka (KIX). Osaka International Airport (KIX) can be reached by a 1⁄2 day scenic train route and transfer to the Shinkansen (bullet train), this option does include some logistics, if you prefer this option, please discuss with us before booking your return flights. **From Osaka’s ITM airport you can take a 75 minute bus directly to Kansai International Airport (KIX) if you need to. **From Osaka Station (train station) you can easily connect to Kyoto or to Tokyo via the Shinkansen train.